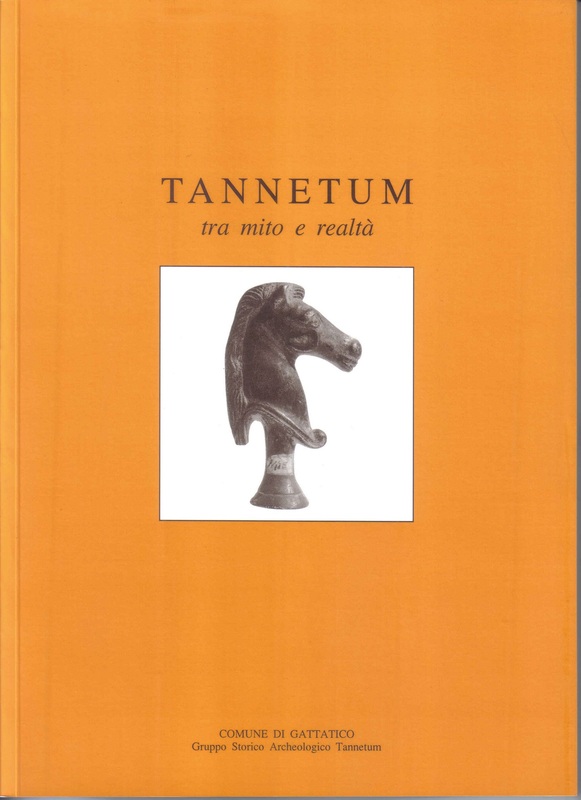 Se sei interessato ad approfondire le fonti storiche attinenti il misterioso antico recinto circolare che ha ispirato il romanzo Viking Connection, consigliamo come bibliografia la lettura della pubblicazione del Comune di Gattatico: “TANNETUM, tra mito e realtà”, a cura del Gruppo Storico Archeologico Tannetum. Nonostante al momento non esistano studi scientifici che attestino la paternità vichinga del manufatto o la presenza dei vichinghi a Reggio Emilia e Parma, non si può negare che vi siano somiglianze tra il terrapieno citato ed i “Trelleborg” della mia amata Scandinavia. 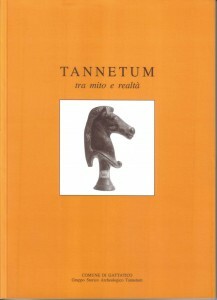 Peraltro, Taneto era fin dall’antichità raggiungibile per via fluviale dall’Adriatico e si trova sull’antichissima strada che congiungeva l’importante antica città di Brixellum (l’attuale Brescello) all’antica Luni (distrutta proprio dai vichinghi nel IX sec.). Tutto ciò ha fatto scattare in me la voglia di scrivere un romanzo giallo di stile scandinavo – conciso e con venature noir, thriller, fantastorico e fantapolitico -, ambientato in Emilia-Romagna. Purtroppo, da oltre un secolo si sono perse le tracce del terrapieno circolare di Taneto e non è facile stabilirne l’esatta collocazione per poter eseguire eventuali indagini/scavi, in quanto le fonti riportano distanze discordanti e genericamente “a settentrione” rispetto ad un secondo importante manufatto, il Castellazzo” (questo invece ancora perfettamente localizzabile e già oggetto di scavi). Auspico che le autorità competenti possano un giorno ritrovare le tracce del “recinto” – magari attraverso l’uso dei rilievi aerei/satellitari di “cropmarks“, georadar, … – e condurre indagini scientifiche accurate che consentano di capirne l’origine e l’impiego. Next Next post: Viking Connection è stato pubblicato! The a number of movers set concentrate on attaining fantastic results and they sustain greatest levels from the property along with around the web functions to returning up everybody people who wish to obtain extra quantities of details. I just want to say I am beginner to weblog and really liked you’re web-site. More than likely I’m planning to bookmark your website . You absolutely have fabulous article content. Many thanks for sharing your website page. I simply want to mention I am just very new to weblog and really loved your web site. Most likely I’m want to bookmark your website . You really have remarkable well written articles. Thanks a lot for sharing your website. I appreciate your piece of work, regards for all the good posts . Some truly wonderful articles on this internet site, thanks for contribution. “Gratitude is merely the secret hope of further favors.” by La Rochefoucauld. Thanks for every other magnificent post. The place else could anybody get that kind of info in such an ideal approach of writing? I have a presentation subsequent week, and I’m at the look for such info. Hello there. I found your blog via Google at the same time as searching for a comparable matter, your site got here up. It appears great. I’ve bookmarked it in my google bookmarks to come back then. Hello there. I discovered your blog via Google while looking for a similar matter, your web site got here up. It seems great. I’ve bookmarked it in my google bookmarks to come back then. Hi there. I found your website via Google while looking for a similar subject, your web site got here up. It appears to be great. I have bookmarked it in my google bookmarks to visit then. I simply couldn’t leave your web site before suggesting that I extremely loved the usual info a person provide in your visitors? Is gonna be again ceaselessly to inspect new posts. Just want to say your article is as astounding. The clearness in your post is just great and i can think you’re a professional in this subject. Fine together with your permission allow me to take hold of your RSS feed to stay updated with coming near near post. Thanks one million and please carry on the gratifying work. Generally I do not learn post on blogs, however I would like to say that this write-up very forced me to take a look at and do it! Your writing style has been amazed me. Thanks, quite great post. Hey there. I discovered your blog by the use of Google whilst searching for a related matter, your site got here up. It appears to be great. I have bookmarked it in my google bookmarks to come back then. Hey there. I discovered your blog via Google at the same time as searching for a related matter, your web site came up. It looks great. I’ve bookmarked it in my google bookmarks to come back then. Hi there. I discovered your site by means of Google whilst searching for a comparable matter, your website came up. It looks good. I’ve bookmarked it in my google bookmarks to come back then. Hey there. I found your site via Google while looking for a comparable topic, your site got here up. It seems to be good. I’ve bookmarked it in my google bookmarks to visit then. Hey there. I discovered your web site by way of Google at the same time as looking for a comparable subject, your website got here up. It seems to be good. I have bookmarked it in my google bookmarks to visit then. Pretty great post. I just stumbled upon your blog and wished to say that I’ve really enjoyed browsing your weblog posts. After all I will be subscribing for your rss feed and I hope you write again very soon! Hey there. I discovered your web site by means of Google whilst looking for a similar matter, your website got here up. It looks good. I’ve bookmarked it in my google bookmarks to come back then. Write more, thats all I have to say. Literally lotopyeer, it seems as though you relied on the video to make your point. You obviously know what youre talking about, why waste your intelligence on just posting videos to your site when you could be giving us something enlightening to read? Hello there. I found your web site by means of Google at the same time as looking for a comparable topic, your site got here up. It seems good. I’ve bookmarked it in my google bookmarks to visit then. Hey there. I discovered your website by way of Google whilst looking for a comparable subject, your site came up. It appears to be great. I have bookmarked it in my google bookmarks to come back then. Hey there. I discovered your blog via Google while searching for a similar topic, your site got here up. It appears great. I’ve bookmarked it in my google bookmarks to visit then.